Released by Pixelbite, space Marshals 2 is the sequel to the original game. To check out our review of the first one, click here. To be quite upfront, both of these games are very well-made. And there are things that have been improved upon with the sequel, while managing to not take a step back anywhere. It’s rare that you see only Improvement in a sequel, without something unintentionally offsetting that. If you are looking to steal away a few minutes of time for a light bit of fun, then Pixel Jum’s mini-game Orphan is perfect for you. You play as an unnamed street urchin looking to reallocate funds from the wealthy to yourself in a pixelated Dickensian London. The game is extremely simple, you just need to scrap together enough money stolen from people for food for the day avoiding cops, thugs, and starvation. While not being especially groundbreaking, 18: Dream world has a special charm that could appeal fans of the match-3 puzzle genre. 18: Dream world is a chain puzzle game by GameSamba. Players connect chains of similar gem-like objects to defeat enemies in each stage. Throughout the game, you collect divers with different abilities and form teams to help sleeping beauties by defeating the witches keeping them in a coma. Let me start by saying first of all, without a doubt, this has to be the cutest android game of 2016. Secondly, don’t for a second let the cuteness fool you. Because if you do, you will be watching ads until the next morning. This game is deceptively tough. Like any highly addictive drug, it perfectly skirts the line between frustration and “just one more.” Call me a glutton for punishment but i think, at the end of a crazy year, I have just found my new favorite game. The developer asks “Have you bored those simple match 3 game?” If that makes sense to you and you answered yes, this may be your title. Ancient Puzzle: 3D Match-3 RPG is a release from Yuchgame which takes the match three puzzle, mixes some RPG style in, and tries to ride that cash cow. Flaws plague this game, from bad translation to stability issues to poor controls. Richard Garfield’s Treasure Hunter is a drafting card game from Queen Digitals. Having played Magic the Gathering for 15+ years and enjoying drafting games, I ventured into Treasure Hunter with high expectations. Game-play consists of drafting cards for the purpose of winning either the maximum or min treasure for each of the three areas or to attack the goblins at the end of each round. After 5 rounds of play, scores are tallied and the game ends. I had a few problems with game-play. Near the end of November, Dreamotion Inc. soft-launched the stylish arcade shooter Gun Strider, and it has become one of my daily addictions. There is something extremely satisfying watching Ivan, the gun strider, bend, twist, and spin around to shoot enemies in this kill-or-be-killed game. Post Brutal, an ultra-violent game from new developers, Helltap entertainment, is a 3rd person zombie Action-RPG with a combat system that is similar to some of the bigger MOBA titles that have flooded the Google Play store in recent times; featuring a leveling system complete with rewards, and upgrading/branching skills. 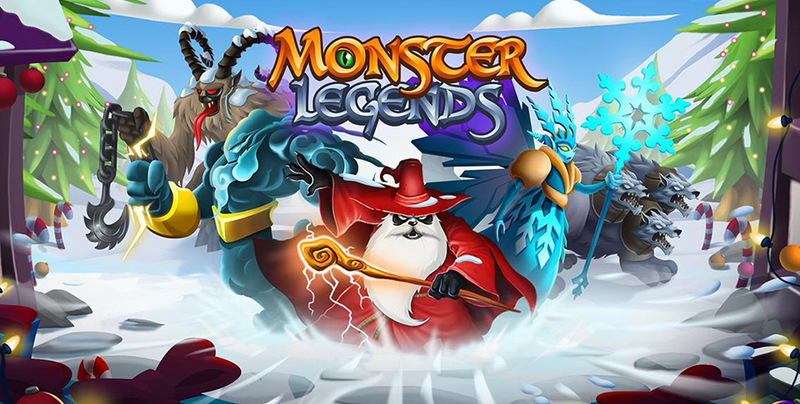 Take your monsters on a quest through a virtual world as you battle it out in action packed matches. Each monster comes with their own special abilities, you can also breed monsters of different elements to create a rare species. This is what Monster Legends is about. 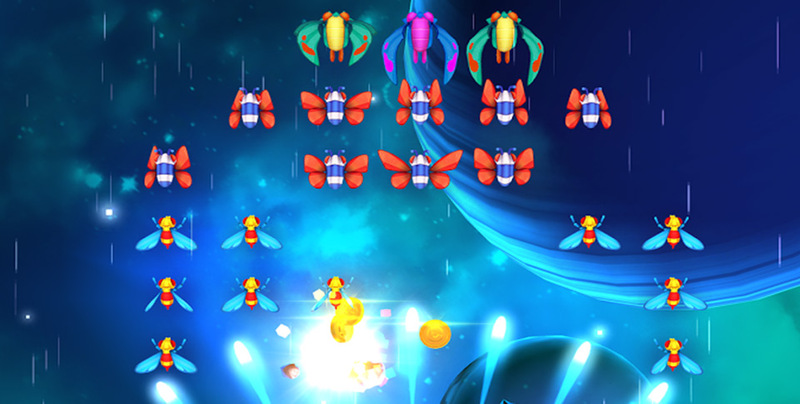 Galaga Wars Review: A good trip down memory lane. To say I was a little nostalgic when booting up to play the new Galaga Wars is putting it lightly. There I was, barely 5 years old, when my father bought my first gaming console: Atari. Yes, even at 5 I knew I was part nerd and enjoyed gaming. I remember playing Galaga with my parents, so when I downloaded the new mobile game from Google Play, I was happy.